Throughout history, every single advance for women’s rights and gender equality – including property ownership, access to education, equal pay and reproductive rights – has only ever been achieved by bold, brave women becoming informed, getting organised, mobilising others and taking action to tackle injustice and inequality head-on. We want to fund this work! We believe change comes about when women who have lived experience of injustice and inequality get heard, especially women facing intersecting disadvantages including race, class, sexuality, disability, poverty or migration status.  This programme offers grants of £500 to £5,000 to support charitable campaigning work across Rosa’s four pillars (leadership and representation, safety, health and economic justice). We’re looking for new voices to stand up and take action.